Murphy Inspects . 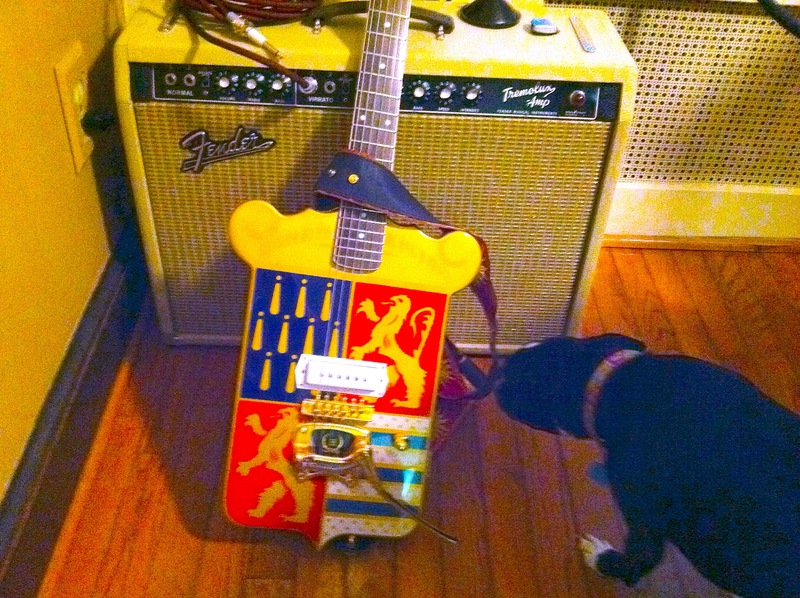 . .
Murphy inspects my 1966 Fender Tremolux amp in its custom JD Newell cabinet with two Weber 12A125A speakers; the amp has been at Don Oliver’s studio for a couple of years and returned last evening. Murphy hasn’t seen this amp before! The Tremolux is not a Fender amp that’s often seen; they were only made for a couple of years. 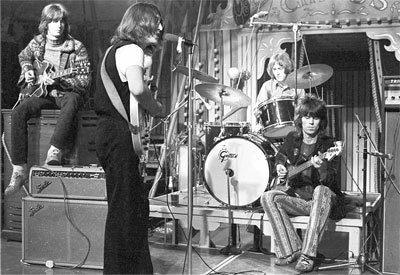 I had wanted one since I first saw the cover of the Blind Faith album; Clapton is shown here with that amp at the Rolling Stones December, 1968, Rock and Roll Circus event as a member of the one-shot Dirty Mac Band, consisting of Clapton, John Lennon, Keith RIchards on bass, and Mitch Mitchell on drums. I believe Clapton endorses a new Tremolux combo amp made by Fender nowadays, but I’m sure it isn’t much like the original ones. For one thing, they cost over two grand. I have the original piggyback head cabinet for my Tremolux, restored by Rocco Egizio of Rockometer Amp Cabinets in Chicago, but I don’t have a proper speaker cabinet for that configuration, so it lives as a combo. One day I’ll find a speaker cabinet, but it has to be a 4-ohm one for the Tremolux. The guitar is my Hallmark Barris Kustom, which sounds nice through the Tremolux. For you gearheads out there, the Barris Kustom has a single pickup with just a volume control; the pickup is Bob Shade’s recreation of the old Carvin AP-6 classic.